A seriously audiophile-minded undertaking! The Beatles in mono is how most listeners first heard the Fab 4's first recordings, when mono was the predominant audio format. Up until 1968, each Beatles album was given a unique mono and stereo mix, but the group always regarded the mono as primary. 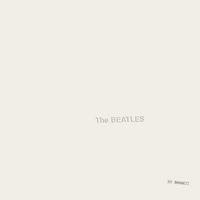 Now from The Beatles In Mono vinyl box set -The Beatles - The White Album, compiled and mastered from the original analog tapes. Stepping back to the more basic production techniques of its earlier albums in order to distance themselves from the myriad imitators, the Beatles drop the psychedelic effects here and focus on the tunes. The group's shift towards American gear, namely, three Fender basses, prominently figure into the mix. "Yer Blues" and "While My Guitar Gently Weeps" (hello, Eric Clapton), are songs that mirror the Beatles' decision to tone down phasing atmospherics. Comprised of material each member wrote on acoustic guitars while on a spiritual retreat in India, The Beatles (most commonly known as The White Album) remains the band's most expansive, and, for multiple reasons, famous record. While its double-album sprawl suggests indulgence, there are few (if any) missteps. It stands as the group's last one-for-all, all-for-one effort, even if most of the songs double as solo material given the singing by individual members on many of the tracks. More than 40 years later, it's impossible not to love what's here. As mentioned in the quote at the top, analog expert and viny guru Michael Fremer, of AnalogPlanet.com, says EMI representatives heard and responded to criticisms concerning digitally sourced mastering used to produce The Beatles Stereo Box Set on vinyl. For the mono version, the decision was made to use an all-analog mastering chain to the degree possible. "It's important to remember that the tapes have aged — some as much as fifty years — and the monitoring, playback and mastering equipment have changed as well, even though the work was done in the very same room in which the originals were mastered. Solid state has replaced tubes in the cutting chain," writes Fremer. The Beatles' mono albums have been newly mastered for vinyl from quarter-inch master tapes at Abbey Road Studios by Grammy-winning engineer Sean Magee and Grammy-winning mastering supervisor Steve Berkowitz. While The Beatles In Mono CD boxed set released in 2009 was created from digital remasters, for this new vinyl project, Magee and Berkowitz cut the records without using any digital technology. Instead, they employed the same procedures used in the 1960s, guided by the original albums and by detailed transfer notes made by the original cutting engineers. Fremer says the lathe was equipped with a Neumann SX-74 cutter head. The originals were cut on a Scully lathe, perhaps with a Westrex cutter head. This is really a deluxe reissue project, done properly, and with careful attention to detail. Beatles collectors and even casual fans of the Lads from Liverpool will be transfixed. Treat yourself! Best I’ve ever heard this album and I’ve been hearing it for a long time. Ringo’s snare just pops. I can’t even tell it’s in mono as it produces such an amazing soundstage. Relistened to the last cd remaster and it just didn’t give u the nuance u get here. Beautiful packaging and boy was I delighted to see the colored photos of each of the lads which in the last issue of the album I bought had been reduced to a black and white photo with all 4 faces on one sheet.